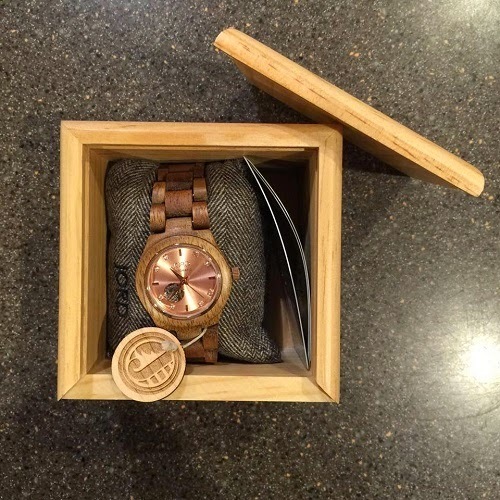 I couldn't contain my excitement when I received an email invite to review a wood watch. I've seen these watches around and I love their designs. If you are not familiar, you might think that they are not as fashionable because they are made of wood, but the watches are unique, pretty and very classy. The best thing about this collaboration is I got to choose the design I want. I had a tough time choosing because all the designs are gorgeous. Cora is our first Lady's automatic timepiece. Crystal markers bounce light off the lustrous face and the round aperture offers a clear view to the beauty and the complication of the automatic movement. 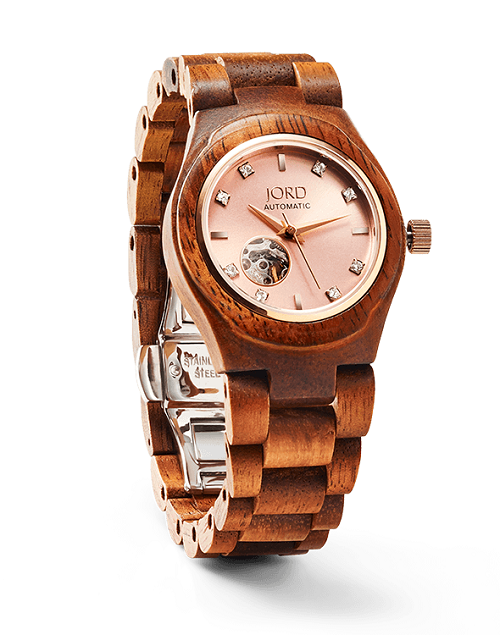 Cora's elegance is grounded by the complex grain in the wood case and band. An earthly jewel; our lady's automatic timepiece illustrates the seamless blend between function and fashion. I chose the Cora Series Koa and Rose Gold to review. It came in a beautiful wooden box and was wrapped with a bubble plastic to protect the box from dents while it's being shipped. Just looking at the box, you can already tell that what's inside is something expensive. But no, it's not. Their watches are very affordable. 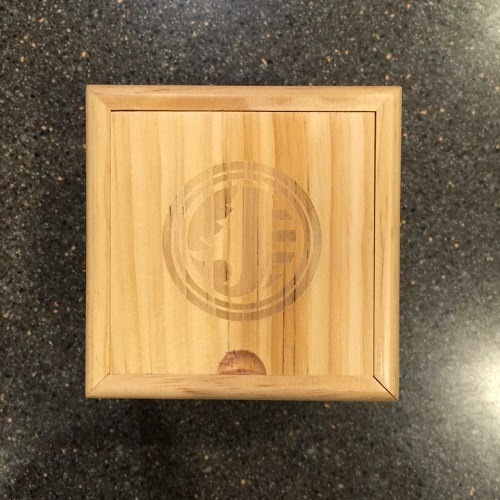 Inside the box, the wood watch is secured by a "watch pillow," so it stays in place. They had it cut to my size to save me a trip to the jeweler. The watch looks very classy and it's delicately crafted. The Koa wood is so fine and smooth to the touch. The face is made of rose gold and it has 8 Swarovski crystals that made it look very elegant. 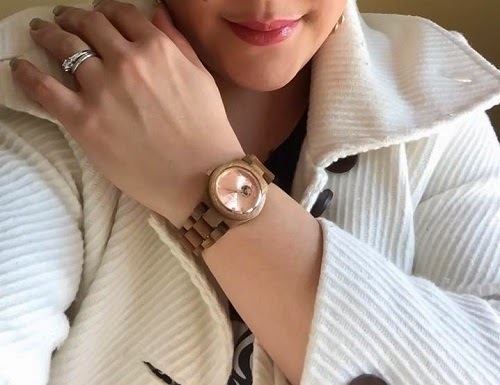 The reddish brown color of the wood perfectly matched the pinkish color of the rose gold. The watch is automatic, so you don't have to worry about adjusting the time too often or about changing batteries. It also has a modern design and is very fashionable. There are times when I get allergies from wearing a leather-strapped watch, especially during the summer when you sweat easily. It never happened so far, with my Cora Series wood watch. The Koa wood and the stainless buckle didn't irritate my skin. The look, how it functions, how it easily matches any outfit and how people are turning their heads to look at the watch. 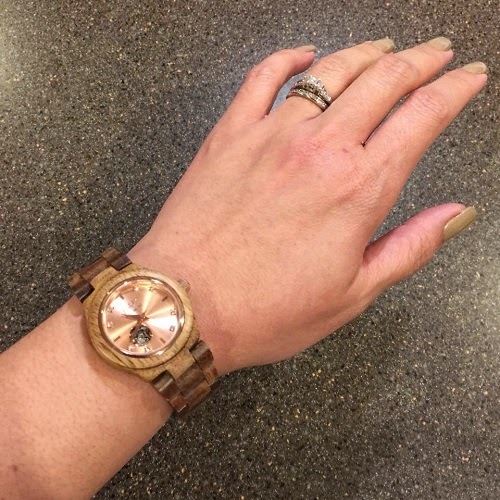 The medium brown color of the Koa wood and the rose gold face can be matched perfectly with many colors. You can wear it every day and in any occasion. Whether you are wearing casual clothes, office attire or a formal dress; the wood watch by Jord would be a perfect accessory. 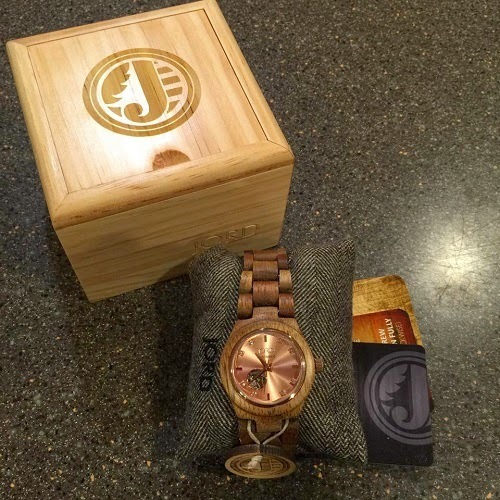 I honestly didn't find anything I didn't like about the Cora Koa and Rose Gold watch. It's beautiful, classy, fun and affordable. I absolutely love this watch! 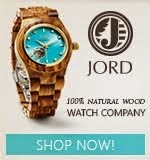 You can purchase the Wood Watch through the Jord website. They've got a wide variety of designs for both men and women. Jord made sure to use different types of woods, so the colors come in different shades. Check them out and I'm sure you'll find a timepiece that will suit your taste. You can also find Jord Wood Watches on Facebook, Twitter and Instagram. 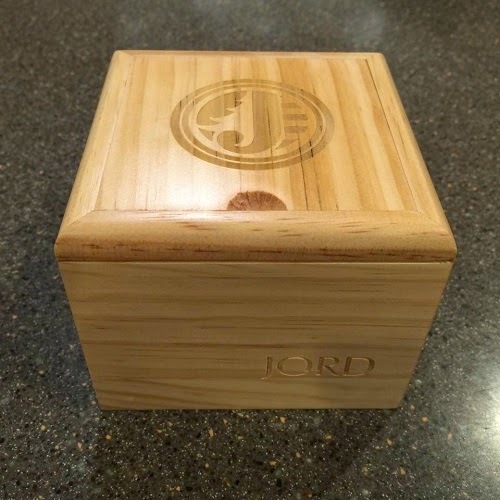 The folks on Jord Watch just love my readers so much they want all of you to know more about their wood watches and have a chance to win one! The entries are very simple and the winner will receive a gift coupon worth $139.00, so he/she can choose his/her preferred design. One entrant per household, please. Disclosure: Product/s mentioned above were sent to me by Jord Wood Watch for evaluation purposes. No monetary compensation was received to write the review. All opinions expressed here are 100% my own. However, I only recommend products or services I use personally and believe will be good for my readers. Joined and praying I'll win :) I like this watch a lot! Love that style and color! Perfect to give as a gift. such a very nice watch! I wish I can wear one like this! i like especially the color and the design. 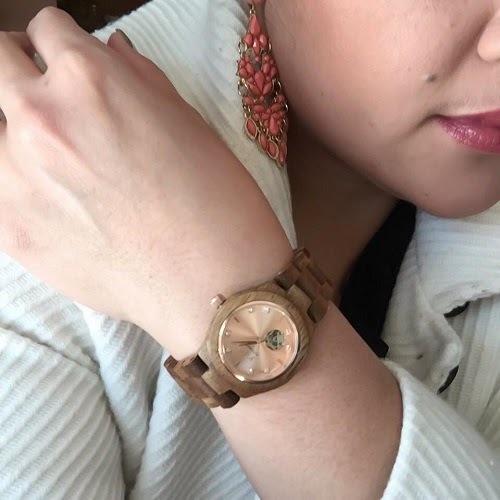 that is one beautiful wooden style of watch Sis l :-) the style is so unique. I loved it. Wow! That watch is so classy and elegant, it doesn't look like a wood at first glance.